It’s time to see what the Ameridroid can do! He is definitely a powerful android who in all fairness should be significantly stronger than Captain America. However, Captain America did briefly become Captain Universe which significantly boosted all of his abilities. That is enough to make this a blowout and even without it he is more agile than the robot. Sometimes being larger isn’t always better. 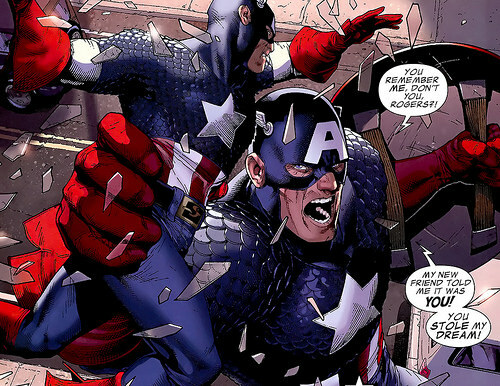 Captain America wins. This entry was posted in Ameridroid Battles, Battles, Captain America Battles and tagged Ameridroid, Captain America by dreager1. Bookmark the permalink. So if Captain America only briefly became Captain America, who was Captain America after Captain America stopped being Captain America?